The Fort Collins Museum presents the “Fort Collins Museum Indian Market” in Old Town Square on Saturday, May 16 and Sunday, May 17. Over 24 nationally-recognized Native American artists will offer pottery, basketry, bead work and more, with music and activities for kids available both days. The Indian Market is free and open to the public from 10:00 am through 6:00 pm on May 16, and noon to 5:00 pm on May 17. All events will be held in Old Town Square. The weekend begins at 10 am on Saturday with a welcome performance by Colorado State University’s Ram Nation drum group, a Native American drum group comprised of CSU students, staff, and community members. The group was initiated to promote Native American traditions, to learn about the drum, and to serve as a support group. There are about 12 active members who perform at various pow wows and other community events. Scotti Cliff and the Briggs Brothers take the stage at 11:30 am, incorporating an eclectic, spirit felt blend of original music that has been written for and about contemporary Native life. Hoping to connect with all nations of all ages, Scotti and the band share their own experiences of growing up on the reservation, while also sharing the relative challenges they face while traveling and performing off the reservation. Scotti Cliff has performed across the United States and Canada with Carlos Santana, Chuck Berry, Taj Mahal, Buddy Red Bow, Stones of Red, Indigenous, and many other great musicians. Plateros, a family blues band from a small Indian reservation west of the Rio Grande, will perform at 1:30. Within the last year this new band has played at several major festivals and shows from Seattle to Florida and Nashville. With 14 year old lead guitar player Levi, they give their audience an exciting performance, with a hard bluesy Tex/Mex sound combined with a positive message of hope and grace. Casper and the Mighty 602 take the stage at 3:30 pm to close Saturday’s events. Casper Lomayesva is a young Hopi singer who has created a sound that combines his native roots with the positive vibes of Reggae music. Casper’s music is filled with hope and power. The words are a reflection of his philosophy on life, influenced not only by the sounds of crucial Reggae music, but of traditional Hopi culture. All bands play a second performance during the Sunday event, beginning at noon and closing at 5:00 pm. Featured artists include Fort Collins resident and basket maker Linda Aguilar, whose fine horsehair baskets are on permanent display of outstanding examples of contemporary art in the Renwick Gallery of the National Museum of American Art, Smithsonian Institution, Washington D.C. When Nelson Mandela of South Africa visited Los Angeles, Mayor Tom Bradley presented him with one of Aguilar’s baskets, and The Dalai Lama has been presented with her baskets as well. 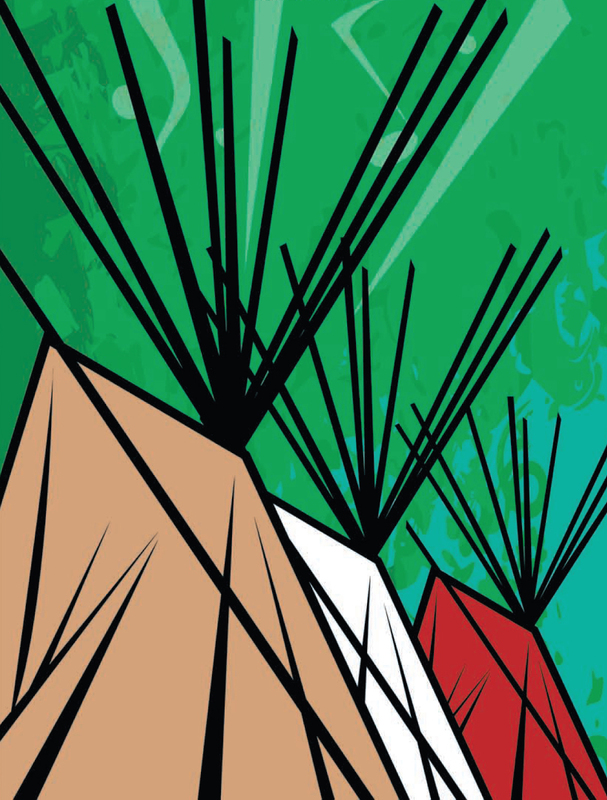 The Fort Collins Indian Market will be open from 10:00 AM through 6:00 PM on May 16, and noon to 5:00 PM on May 17. All events will be held in Old Town Square. For more information about the Fort Collins Indian Market call (970) 221-6738. Indian tacos - you know you want one!